The All Craft Blog: House warming gift. 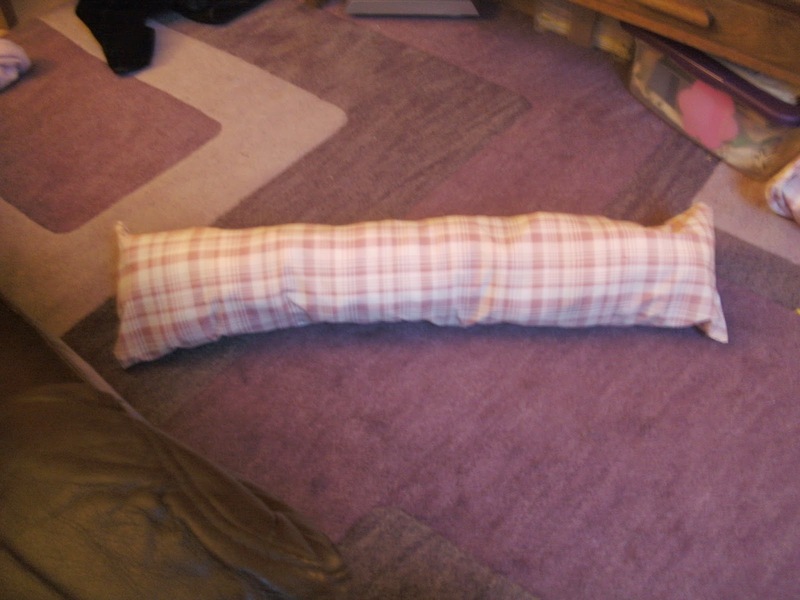 I have new neighbors and I thought I would make the a draft excluder as a nice house warming gift, the building we live in has alot of annoying drafts I have two of them in my flat and I really do benefit from them I need to make one for the living room window as the curtains don't quite get rid of this one draft i have coming in! I also made one for my wonderful neighbor @Nevilina_3 !!! Ignore my messy floor, Craft Central is busy at the moment, but I love the fabric i chose its 36 inches length ways and 7 inches wide took me 20 minuets to make!